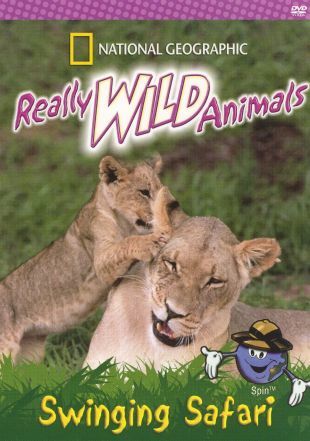 Part of the Really Wild Animals series brought to video by National Geographic, this educational kids' program is a trip into the jungles of the Dark Continent called Africa. From the wild plains of the famed Serengeti to the burning sands of the Sahara, this swinging safari has all the highlights and none of the mosquitoes. Young viewers follow along with Spin, the animated globe (voiced by Dudley Moore), as they learn the habitat of such diversified animals as the chimpanzee, the rhino and the king of the jungle, the lion. Also featured are the survival techniques of the world's fastest cat, the cheetah, and the creepy crocodiles of the Congo.